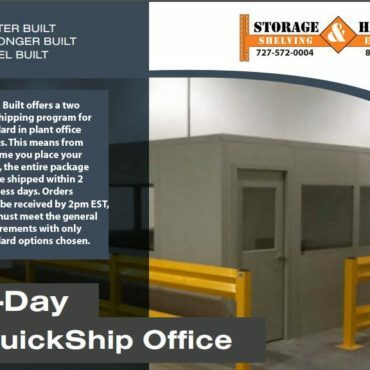 I contacted Fred when our need for shelving came up and needed a very quick turnaround in moving into a new facility. He was always prompt and thorough to make sure what we needed met our needs. Last minute changes were never a problem. He still comes by to make sure everything is working as best as possible. I don’t know many other vendors that would do that. Fred definitely exceeded my expectations and all of my prior dealings with other vendors. HIGHLY RECOMMEND HIM!!!! I approached Fred at Storage & Handling Equipment after a particularly bad experience with the company we had contracted with to set up the racking in our new warehouse. Time was of the essence and we found Storage & Handling Equipment online. Fred was so professional and knowledgeable that I didn’t bother contacting anyone else. His team showed up exactly when promised. The workers were courteous and worked non-stop. They would have stayed well into the night if we had let them. This company helped us out of a jam and I highly recommend them. Great company… Contacted Storage & Handling after being referred by a colleague, who advised me to speak with the principle, Fred Jackson, who then listened to my needs and within 24 hours provided me with a cost effective solution utilizing both new and refurbished materials. Working through his administrator Lynn, who I might add was amazing, they fit me into production and installation in order to accommodate my move in date at our new facility. Both the drop off and assembly teams showed up as scheduled and the installer, Daniel, did a fantastic job. All of us at Label IT want to say; “Thank you Storage and Handling”! I recently needed 168 feet of metal shelving after wood shelving collapsed. 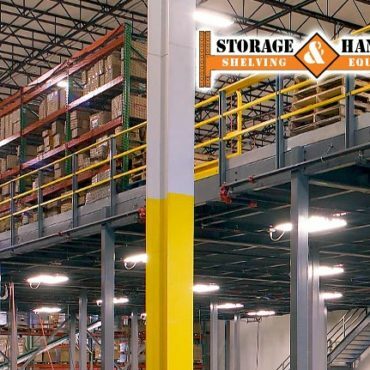 The team at Storage & Handling were very knowledgeable and courteous. They filled the first part of my order immediately and even helped me plan out what shelf size will work best. Due to the professionalism and personal care I received, I would highly recommend them in the future. I am a satisfied customer. Fred and his team are always on top of their game. Very competitive pricing. Fred is truly a professional and he genuinely cares about his customers. Love doing business with him and his company. Storage and Handling is my go to place for my storage needs. Very good and friendly people there. Thanks all and Happy New Year. Please visit our Google Places Page and leave us a review about your experience with Storage & Handing. Thank you!